Color image of a Lawrence Livermore National Laboratory exhibit at the 1984 National Computer Conference. 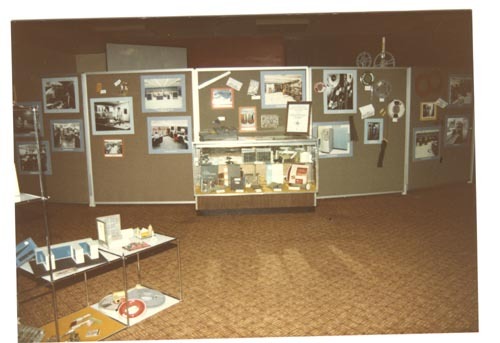 To the left is a standalone exhibit of tape reels and other artifacts. In the center are 4 partitions with pictures and artifacts, in front is an exhibit case with artifacts.